There have been moments in 2013 where I have successfully achieved that elusive work/life balance that people are always talking about. I remember a string of weeks in March when I had the perfect amount of work that provided me with the perfect amount of income while allowing me the perfect amount of time to spend with my wife and daughter. Then my wife gave birth to our second daughter and the equation grew considerably more complicated. Most mornings I stumble out of bed a little before 4:00. Assuming Darcy (the newer daughter) doesn't also wake up with a dirty diaper, an emerging tooth or some other existential crisis she can't fully articulate, I'm able to get in a couple of hours of work in before I hear Sammy (the older daughter) announcing that she, too, is awake. We'll snuggle together in her toddler bed for a few minutes before we start the process of getting dressed, getting her breakfast and making her lunch. Clara is herself scrambling during this time to get ready for work, feed Darcy and get out the door. At around 7:45 I'll head out with the girls, dropping off Darcy at her grandparents on the north side of town and then dropping of Sammy at her school by 8:45 which (traffic permitting) allows me to get to the office by 9:00. If I'm lucky (and not distracted by teaching, writing, courthouses or any of the other extracurricular activities I foolishly take on) I may be able to get in 8 hours of work before meeting Clara at home after she's picked up the girls in a dance quite similar to my morning routine although she does it backwards and in heels. Then there are baths and stories and if everyone falls asleep as they should (which of course they rarely do) I may be able to get in another couple of hours of work before I can no longer keep my eyes open and I collapse unconscious into my pillow around 10:00. If everyone sleeps through the night (which of course they never do) I may get 6 hours of sleep before I wake up and start to do it all over again. While my situation is not particularly unique, it makes it no less exhausting for me. The thing is, there is no part of my day that I do not want to do. I love the work that I'm doing, but I also love snuggling in the morning. I want to spend as much time as possible designing any of the really exciting projects we have in our office, but I also want to spend as much time as possible with my family as I can. At the end of the day, there is never enough time. Never. 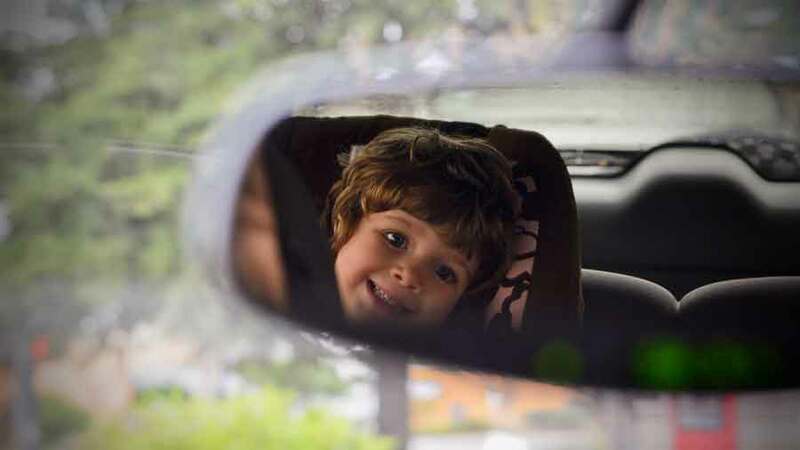 There are moments when I'm sitting in traffic, when Darcy is fussy, when Sammy is stubborn, when Clara is angry and Daddy is grumpy and despite it all I'll look in the rear-vew mirror and see Sammy smiling at me. These moments - so long as they can be experienced and appreciated - are proof enough that it's all worthwhile.